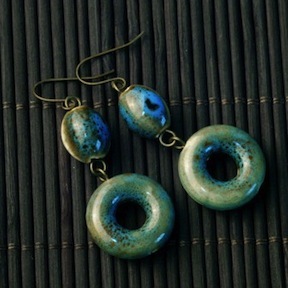 These earrings were strung in Beijing and are a nice thick, very light weight ceramic. In blueish green they are paired on nickle free hooks. Another one of my favorites~* So sweet!